Going off to college for the first time is an exciting experience, but it can also be a stressful one. There are books to buy, exams to take, friends to make—the list goes on. The life of a high schooler living at home is quite a bit different than that of a college freshman living on his or her own for the first time. The good news is that you can make the transition a lot smoother with some useful digital tools. The apps below will help you with everything from saving money to finding food to getting to class on time. Amazon Student can help you save on tons of college gear. The first thing any freshman needs are the textbooks required for each class, and the price of getting new ones is enough to break just about any budget. Luckily, there are plenty of ways to get discounted books these days, one of which is Amazon Student (free; web only). The retail giant offers students free membership for six months, which includes free two day shipping and exclusive deals and discounts for students—and not just on books. Collegiates can also take advantage of promotions on storage items, bedding and other essentials. 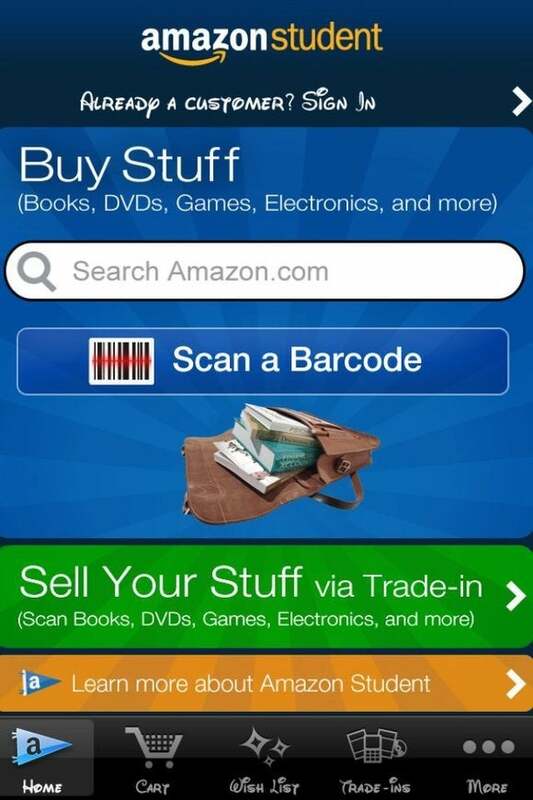 Plus, Amazon has a textbook section where you can buy, sell, and even rent books. After six months, students get half off Prime membership, which includes free music, TV and movie streaming—a good bargain over paying for cable and a music subscription service. Once you’ve cracked open your textbooks and read all of your assigned chapters—which, ahem, of course you are going to do, and well before midterms roll around—you may find it useful to have a study aid. Believe it or not, the good old flash card is still useful beyond SAT prep, but who wants to waste all those trees? Enter StudyBlue (free; iOS and Android), an excellent flash card app that lets you simply input your school and courses, and then provides an extensive list card sets. 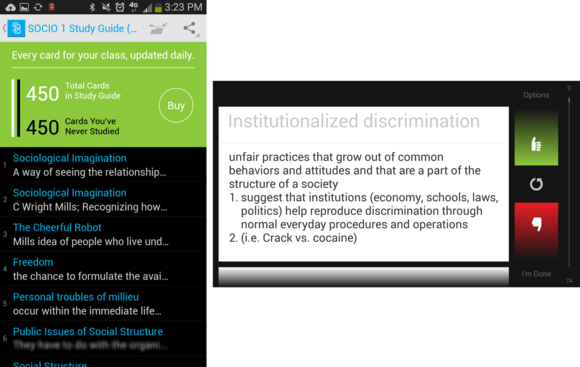 User-populated study guides are free, while those provided by StudyBlue cost $9 a pop (or you can subscribe to the pro version for $48 per year). Flash cards are a classic way to prep for a test. You can also create your own flash cards—ideally using the web version, since who wants to type all that on their phone? 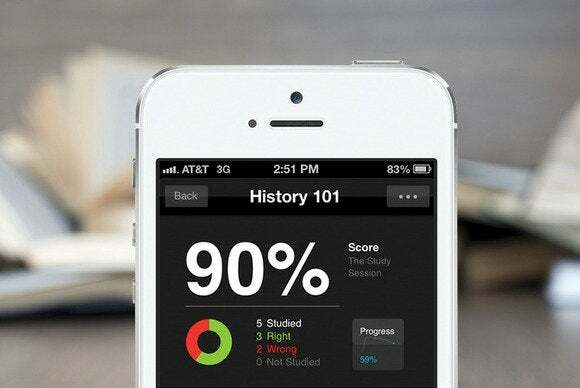 While studying, you can use the app’s thumbs up and thumbs down buttons to indicate what you get right and wrong, and then you’ll get a score at the end of each session. For those who want to dive beyond flash cards, there’s ExamTime (free; web-only), a study tool that’s populated with notes, quizzes, and mind maps created by students and teachers across the globe. The idea is to make studying interactive, which helps with learning and retention. In addition to the activities, you can study with groups online and set study goals. ExamTime's study planner is an excellent tool for staying on track. 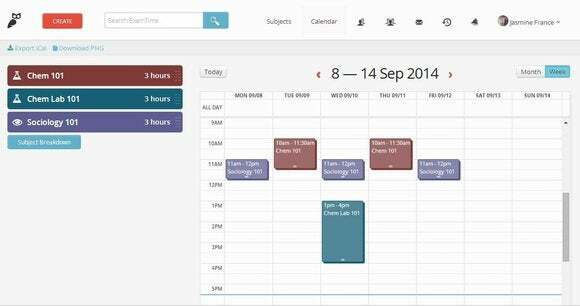 There’s also a handy built in study planner where you can enter classes, exams, homework, studying, and free time on a calendar. You can save the calendar as a PDF or in iCal format; it would be nice if you could export it directly into Google Calendars. The free version of ExamTime allows you to schedule up to three “subjects;” upgrading to Premium ($4 per month) or Premium+ ($5 per month) gets you nine or 25 subjects, respectively—plus access to more study resources. Of course, all that handy-dandy scheduling will be for naught if you can’t make it out of bed in the morning. 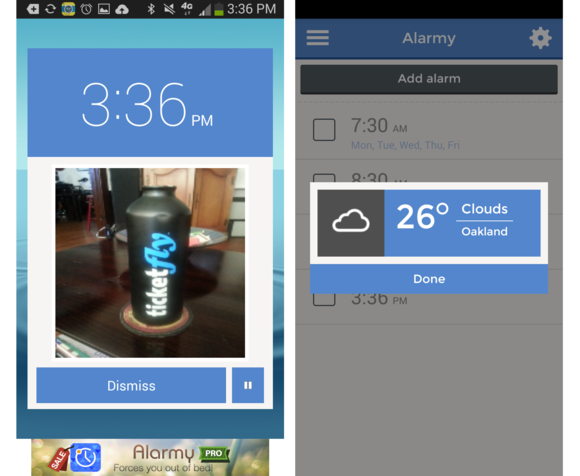 If you’re a repeat snooze offender, Alarmy: Sleep If You Can ($2; Android and iOS) is a worthy download. This simple app requires that you either take a specific photo or shake your phone an annoying number of times in order to turn off the alarm. The trick is to make the photo of something not right next to your bed. Once you’ve managed to silence it, Alarmy pops up a handy snapshot of the weather so you can properly attire yourself for the day. This annoying alarm makes it impossible to snooze through. Writing a bibliography can be a tedious process, particularly since it usually must be done right after finishing a lengthy term paper. 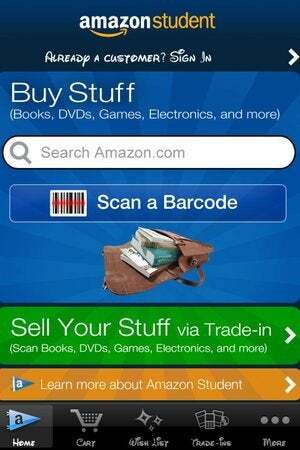 Mercifully, the advent of barcode scanning via smartphone has made this much easier. 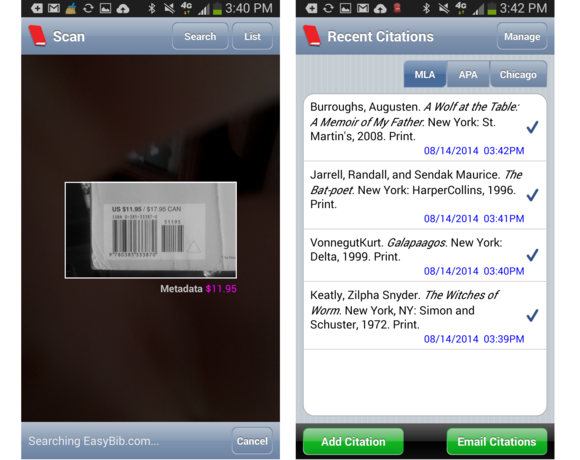 With EasyBib (free; iOS and Android), you simply scan the barcode of each book you’ve referenced, and it will populate a bibliography in MLA, APA or Chicago style. You can then email the citations to yourself and simply copy and paste at the end of your paper. Use EasyBib to help you properly cite your paper. Even for the most socially adept of us, going off to college for the first time can cause bouts of homesickness from time to time. Skype (free; iOS, Android, Amazon Fire OS) is an integral tool for keeping in touch with friends and family back home, especially if your school is not within easy visiting distance. Make all your contacts sign up for the service as well and you can all video chat for free as often as you want. There’s even a group video chat feature that supports up to ten callers at once. For a small fee, you can make calls to cellphones and landlines from the app, which is particularly useful for those who are studying abroad. Skype is a handy app, even if you're not a student. Of course, you don’t want to spend all your time locked in your dorm room tethered a digital communication device. Making new friends is a huge part of the college experience, and while you might luck out with an awesome roommate who becomes your BFF, likely you’ll want to branch out. For that, there’s Skout (free; iOS and Android), a social app that’s aimed at getting people together in person for fun activities. The app uses the GPS on your phone to find other users near you, and you can browse profiles to look for people with similar interests. Just remember: whenever meeting someone for the first time, do it somewhere public and safe. 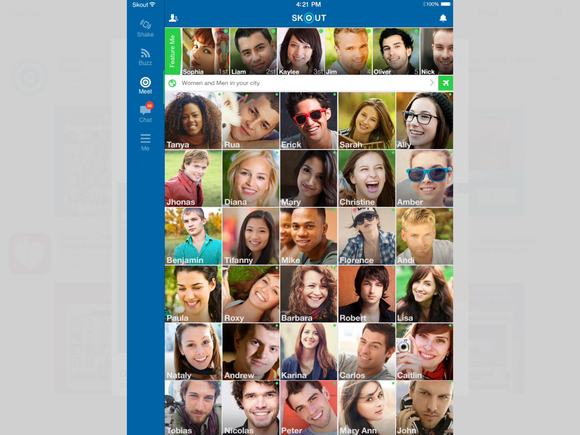 Use Skout to connect with other students you might not meet otherwise. Let’s be real: although the legal drinking age in the United States is 21, there’s still an awful lot of alcohol consumption by first-year college students. No matter what your age, it’s important to be smart about drinking. That’s where Wise Drinking (free; iOS and Android) comes in. 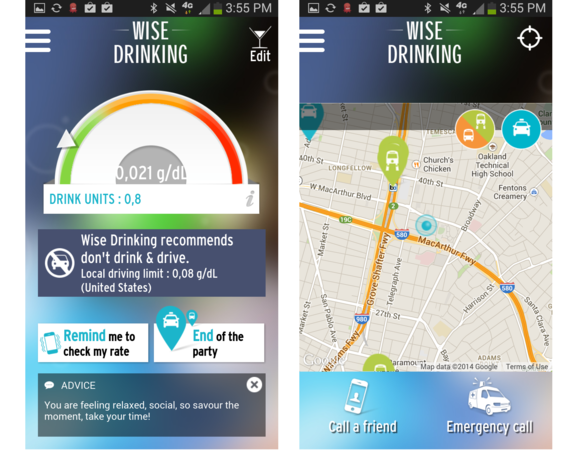 A team from French wine and spirits company Pernod Ricard created this well-designed app with the aim of helping users moderate their drinking and making them aware of when it’s time to call a cab. Watch your drink intake, people. The app uses your gender, weight, and height to calculate blood alcohol content (BAC) levels according to alcohol amount, type, and timing of consumption. It also prompts you to enter the last time you had a full meal. Of course, the BAC provided is just an estimate—and entirely dependent on user input—but at the very least, it can help keep you aware of your consumption. Also nifty is the built-in transportation map, which shows you the closest transit and taxis. There are even buttons for contacting a friend or making an emergency call. Unless you go to school in a major metropolitan area, chances are popular delivery apps like GrubHub and Eat24 won’t be available to you at school. And let’s face it: food delivery is a necessity. Luckily, there’s Crunchbutton (free; web-only), a service just for college students. Currently, this web-only app is offered for about 20 schools, most of which are located on the east coast, but the company is planning to add many more schools throughout the year. For now, students attending the likes of Georgetown, Brown, and UNC Chapel Hill can use the site to order grub delivery from a handful of local restaurants and even fast food favorites like Taco Bell and Mickey D’s. Late night munchies? No problem. With all of those late night snacks, unlimited meals at the dorm cafeteria, and free-flowing drinks, consider a fitness app to balance things out (and stave off the dreaded Freshman 15). If you want to focus on bulking up and “getting ripped,” JeFit (free; Android, iOS, and Amazon Fire OS) is a good option. This app offers a plentiful array of free routines designed for men, along with a handful of general cardio and yoga workouts for mixing it up. JeFit and Nike Training Club (shown here) can help keep you in shape. For the ladies, check out Nike Training Club (free; iOS and Android), a female fitness community app that focuses on three training categories: Get Lean, Get Toned, and Get Strong. You can then select between beginner, intermediate and advanced levels—and choose whether or not to add running to your routine—and the app will populate a four-week training program. 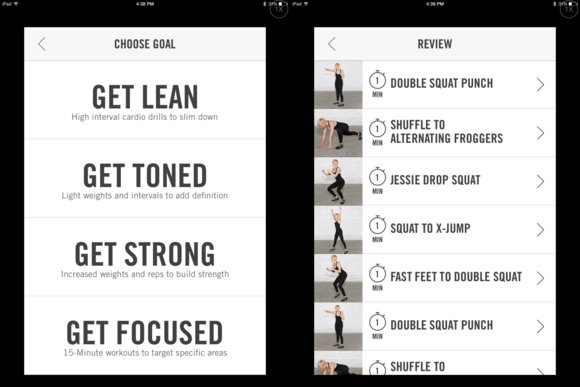 Each workout includes a video (download is required) and lets you set your own music.